Fifa World Cup 2022 host Qatar is targeting C&I event planners with a raft of new developments and bids to host sporting events. The Qatar National Convention Centre is set to open in Doha’s Education City in December for the World Petroleum Congress. The property will have a 2,500-seat auditorium, a 500-seat theatre and a multi-purpose hall for conferences. There will also be 40,000sqm of exhibition space. 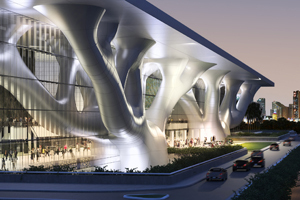 The Doha Exhibition and Convention Centre is set to open in the city centre in 2012, with 45,000sqm of event space. Qatar hosted 250 meetings and events in 2010, and forecasts a 10% increase for 2011. Qatar Tourism Authority (QTA) chairman Ahmed Abdullah Alnuaimi said: "Five years ago we had 2,500 rooms – now there are 13,000. We need to build 80,000-100,000 rooms to accommodate visitors coming by 2022." Hotel chains opening properties in Qatar over the next two years include St Regis, Four Seasons, Hilton, Intercontinental, Rotana. After successfully bidding to host the 2022 Fifa World Cup, Qatar is also bidding for the 2017 World Athletic Championships and the 2020 Olympic Games. Alnuaimi added: "Event planners look at the bottom line and think Qatar is an expensive destination. They should research and see it is affordable - we offer good deals."